Confirming Kerry's comments, Channel 2 News reports Khamenei and Rouhani have decided to withdraw 2,500 fighters from Syria. 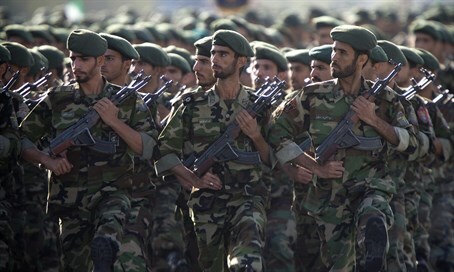 Iran is planning to withdraw its entire fighting force from Syria, which includes 2,500 fighters, Israel's Channel 2 News reported on Sunday. The report appears to confirm remarks made last week by Secretary of State John Kerry, who told lawmakers that Iran had withdrawn a "significant number" of its Revolutionary Guards troops from the Syrian battlefield. According to the Channel 2 report from Sunday, the majority of Iran's forces have already been evacuated from Syria and the rest are expected to return home imminently. The decision was made jointly by Iran’s Supreme Leader Ayatollah Ali Khamenei and President Hassan Rouhani, Channel 2 said, but no reason for the decision was cited. Since the start of the civil war in Syria nearly five years ago, Iran has been providing Syrian President Bashar Al-Assad with both financial aid and military advisors against a range of opposing forces. Iran, however, has continuously rejected allegations that it has any fighters on the ground in Syria. Deputy Foreign Minister Hossein Amir-Abdollahian insisted several months ago that Tehran only has “military advisors” in the war-torn country. According to the Channel 2 News report from Sunda, Iran's forces have sustained around 160 fatalities including six senior officers, and have also suffered over 300 injuries. While the fighters will withdraw from the country, approximately 700 military advisers will remain in Syria, according to the channel. The report made no mention of what will become of Hezbollah's presence in Syria. The Lebanon-based terrorist group, which is also supported by Iran, has been heavily involved in fighting alongside Assad's troops as well. The group has sustained heavy losses in Syria. In December, analysts said Hezbollah had lost more than one-third of its fighting forces in Syria, including some 1,300 to 1,500 soldiers.